As if the new Orson Welles film The Other Side of the Wind isn’t enough to get cinephiles excited about the releases to come, Netflix will also present a behind-the-scenes documentary to accompany the auteur’s highly anticipated feature. They’ll Love Me When I’m Dead is an American documentary that revolves around the making and filming of The Other Side of the Wind, the long-unfinished project directed by Welles. Netflix released the first trailer for the new docu-film on Monday, which can be streamed below. The Netflix original tells the story of the distinguished director during the final 15 years of his life, when he struggled to make a comeback in Hollywood. After a long hiatus in Europe, Welles returned to the U.S. in the 1970s with a concept in mind that he hoped would bring him out from behind the shadows of his first hit, Citizen Kane. He began filming immediately—without a finished script, full cast or outside funding. They’ll Love Me When I’m Dead gets its name from a prophetic comment Welles made to fellow director Peter Bogdanovich. The downtrodden filmmaker lamented that although the Hollywood greats never helped him out when he needed it, the same people would praise him and his career when he’s gone. This documentary is a big undertaking, but rest assured that the project is in good hands. Morgan Neville, of 20 Feet from Stardom fame, for which he won the Academy Award for Best Documentary Feature in 2014, directed the picture for Netflix. On top of that, Neville’s most recent film Won’t You Be My Neighbor?, a documentary about Fred Rogers, was met with critical acclaim and became the highest-grossing biographical documentary of all time. Expect Neville’s latest documentary to use both archival footage—from movies, outtakes and televised talk shows—and fresh interviews. Netflix acquired the rights to Orson Welles’ The Other Side of the Wind soon after the project resurfaced. The film, which began shooting in 1970 and continued production until 1976, remained unfinished at the filmmaker’s 1985 death. Reels were left in a vault in Paris until March 2017, when producers Frank Marshall, who worked on the initial shoot, and Filip Jan Rymsza picked up the project to finish it, once and for all. Starring John Huston, Bogdanovich, Susan Strasberg and Oja Kodar, The Other Side of the Wind follows famed filmmaker J.J. “Jake” Hannaford (Huston), who returns to Hollywood after spending years in European self-exile to create an original “comeback” movie. Sounds familiar, huh? 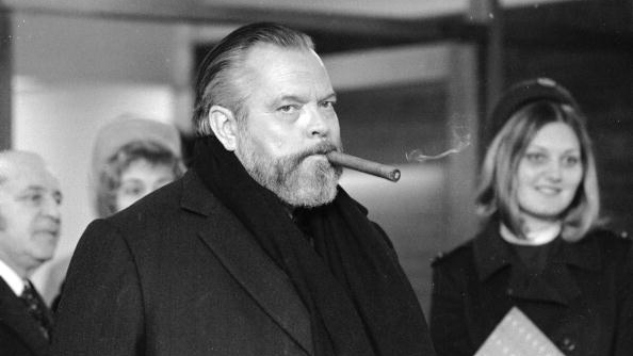 Even though Welles has denied the connection himself, don’t be surprised if The Other Side of the Wind seems pretty autobiographical. Netflix is set to release The Other Side of the Wind on Nov. 2. 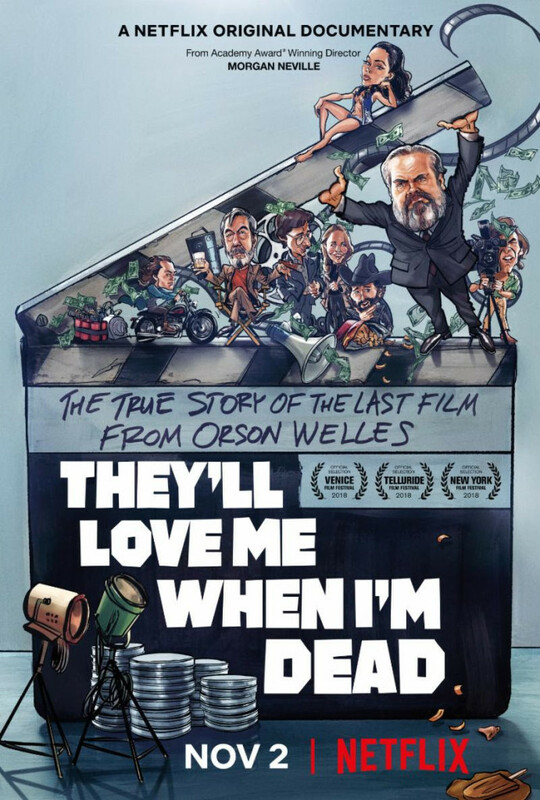 They’ll Love Me When I’m Dead had its world premiere at the Venice Film Festival on Aug. 30, and is scheduled to be released on Nov. 2 by Netflix. Check out the poster and brand new trailer for They’ll Love Me When I’m Dead below.